Many smaller and brighter bed forms, most likely small dunes or granule ripples, cover the substrate between the larger dark dunes as well as most of the floor of Proctor Crater. The dark dunes overlie the small bright bedforms indicating that they formed more recently. 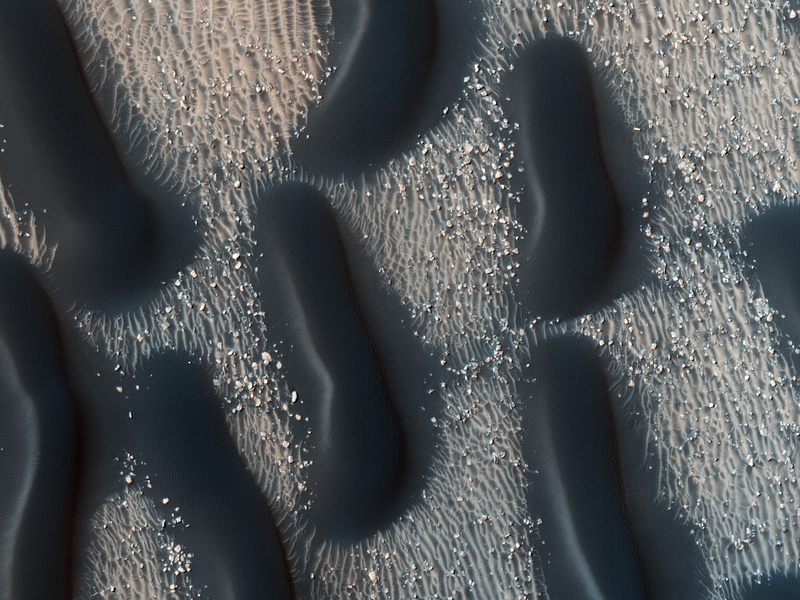 In several areas, however, the dark dunes appear to influence the orientation of the small bright dunes, possibly by wind flowing around the larger ones, suggesting that both dark and bright bedforms are contemporaneous. The dunes in Proctor Crater may be active today, moving in response to Martian winds. This is a stereo pair with PSP_003800_1325.